The president of the US is a liar and cannot be trusted to speak the truth. The president is willing to sabotage the proper functioning of democratic governance—especially checks on executive power—in order to ensure that his will be done. Presidential obstruction of justice and abuse of power now rise to the top of investigative and political concern. 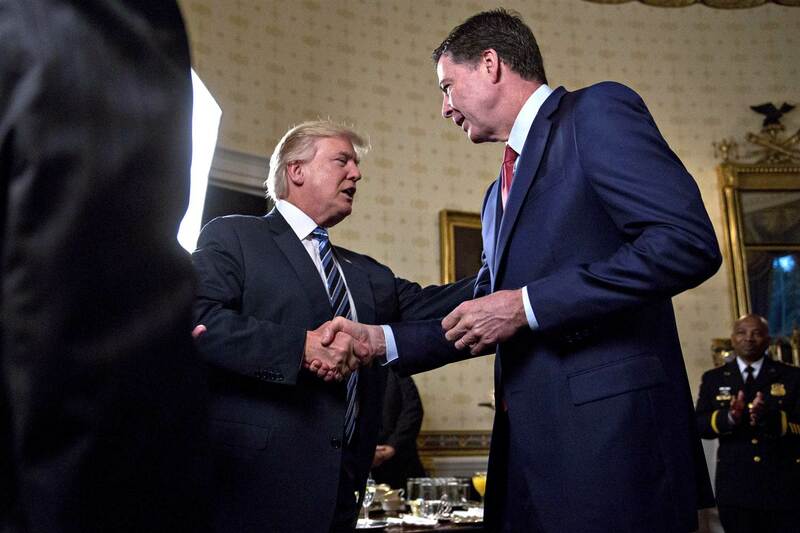 Trump clearly directed Comey to drop the investigation of Flynn, made loyalty to him the condition of Comey’s continuation in office, and confirmed that Comey’s persistence in investigating the Trump-Russia connection was the ultimate reason for firing Comey. The president felt no urgency about or interest in the Russian threat to the US electoral system. Republicans will go to great lengths to undermine and trivialize Comey’s testimony. Their mission, as they see it, is to preserve the Trump presidency long enough, at least, to push through their major domestic legislation—health care and tax changes. No objective person can come away from this hearing believing that Comey, speaking under oath and with a long record of integrity in government service, is lying while the President, not under oath and with an even longer record of deceit, is telling the truth. Sounds pretty spot on. But I do wonder whether, with all the disarray in the White House and the distrust of Trump among a number of Republicans in White House, they might have more interest in pushing Trump out of office, so that Mike Pence can take the helm. They have much more ideological alignment with Pence, and could get much more of their agenda accomplished without all these other distractions. If so, those of us who oppose Trump, might want to see him bumble along in office for a few more years. Mel, I agree with all of your points. Right on. One qualification, but certainly no excuse for Mr. Trump: I don’t think he understands his legal-constitutional limits and obligations. I think he is ignorant, doesn’t know any better, and may not listen to any advisers who do, if he has any. Excellent, as always, Mel…thank you. How the hell some people can’t see the duplicitous nature of Trump simply astounds me. Good summary of the Comey testimony. through their major domestic agenda: Would they have better success in doing so under President Pence? be still better for the GOP agenda, but worse for America and the human interest. stupid enough to exit the Paris climate agreement? I tend to agree with the view that a Pence or a Ryan would be worse for real policy matters than a Trump continuing to spin around in ever-crazier circles. Yet, everyone could be worse off if Trump manages to hang on for the rest of his term. Who knows what he might do in a desperate state of mind? It’s a tough call, and it’s for the Republicans to make, though it might not be if they lose control of Congress in the 2018 election.